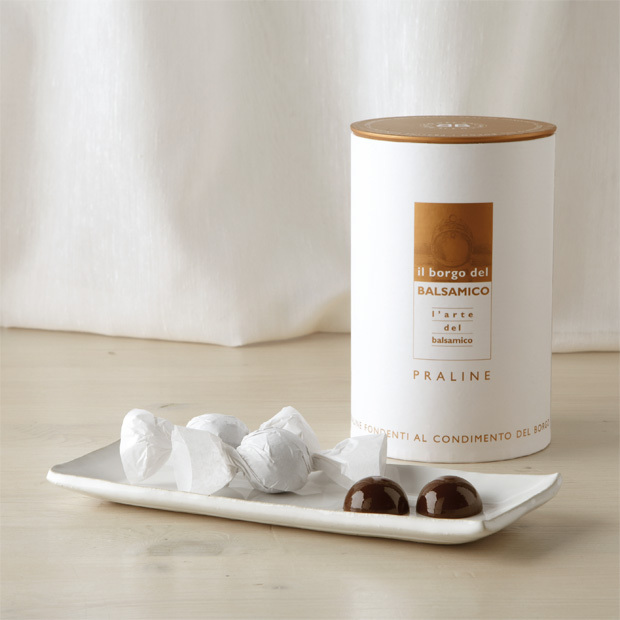 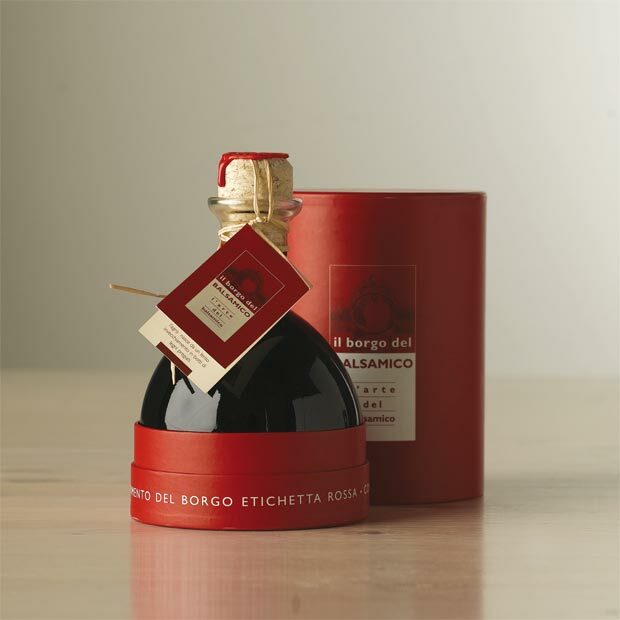 Balsamic Vinegar of Reggio Emilia and Borgo del Balsamico Food Condiments. 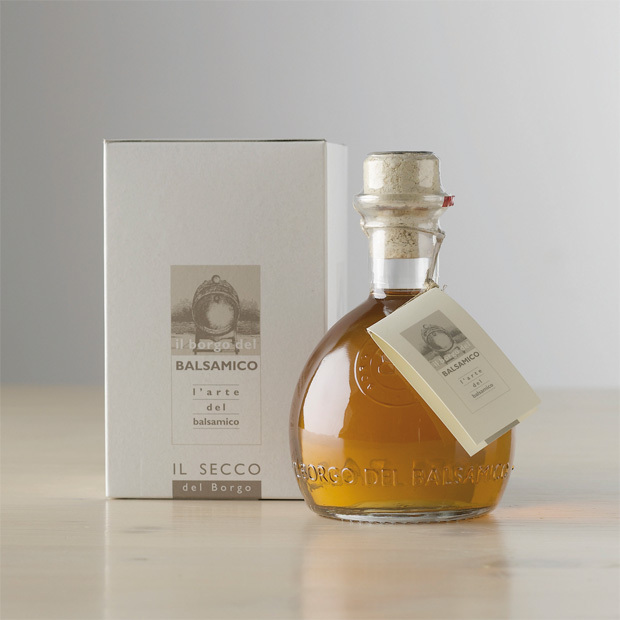 Once laid down in old French barriques the colour of worn leather, the cooked must turns gradually with the years into Traditional Balsamic Vinegar. 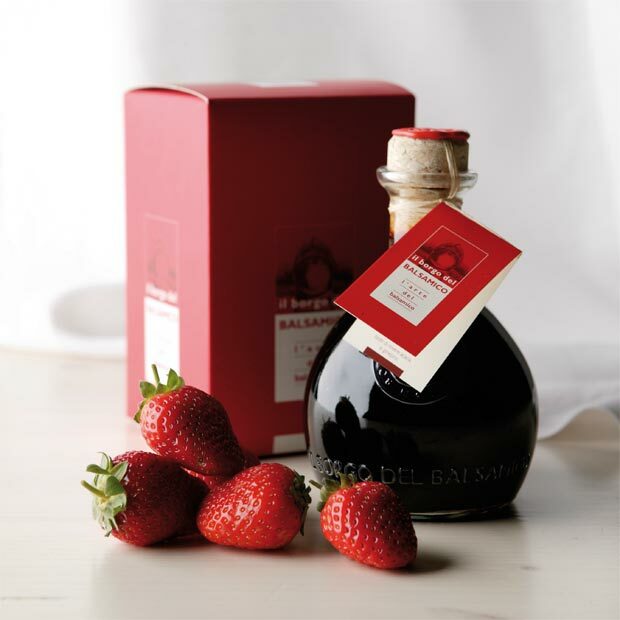 The final product after this long, undisturbed period of aging is a dark liquid whose brilliancy, clarity, texture, aroma and quite unique taste, blending sweet and sour, make Balsamic Vinegar an unforgettable gastronomic experience. 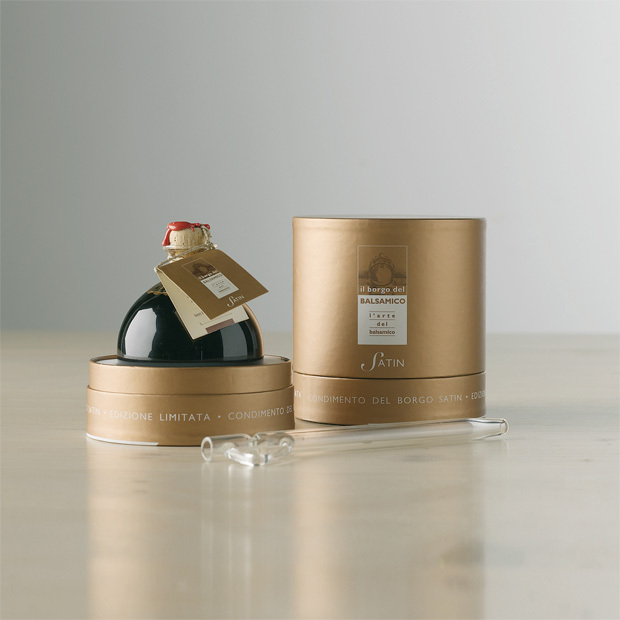 A range of products made to our usual exacting standards. 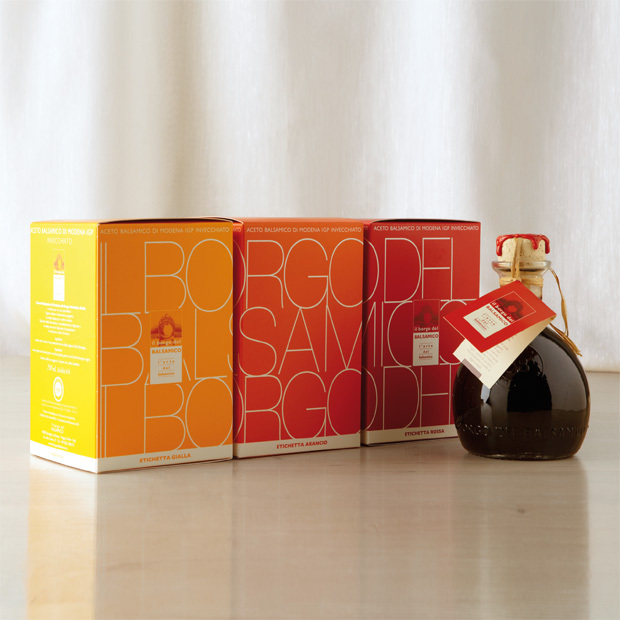 Three colors labels (yellow, orange and red) for a unique philosophy, each color for a different use in the kitchen. 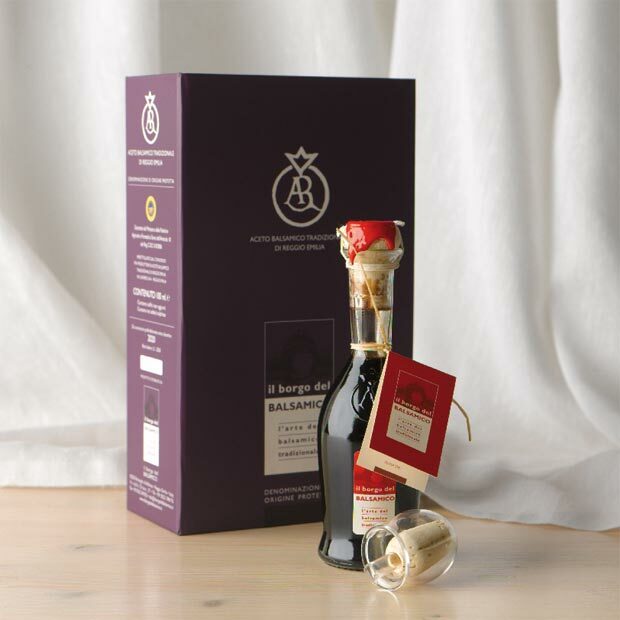 Traditional Balsamic vinegar of Reggio Emilia, the king of all balsamic vinegars, has been aged no less than 12 and as many as 25 years. 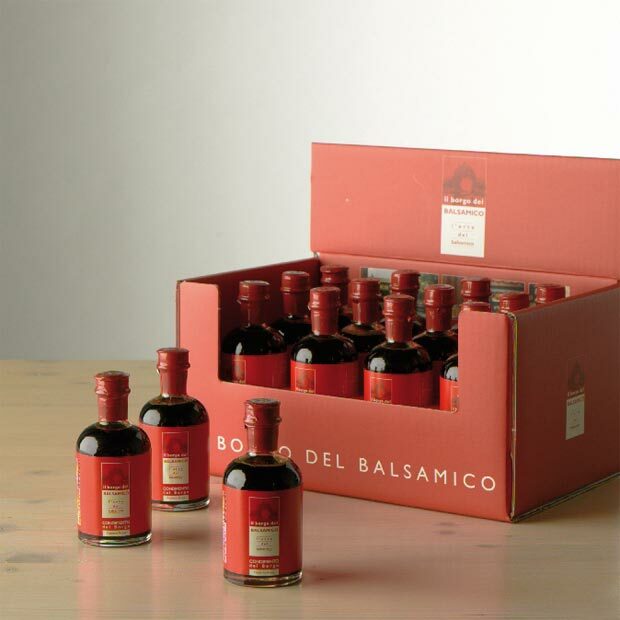 Balsamic Vinegar of Modena and Borgo del Balsamico Food Condiment, top quality products in their class, are all produced from ingredients coming exclusively from our region.